Do you want both hands free, yet, desire to take along your best friend? If yes, hands free dog leash is a must have for you. 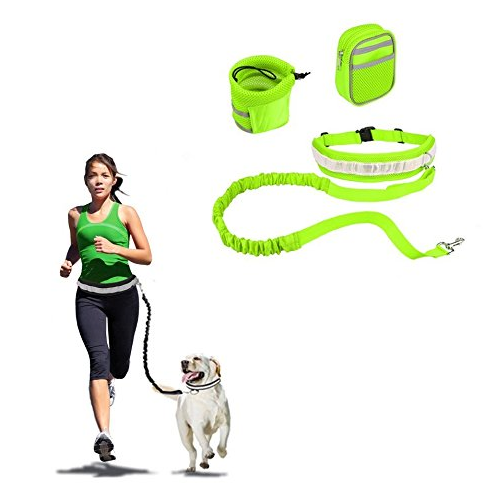 Perfect for walking, running, jogging and hiking with your dog, hands free dog leash allows you enjoy freedom and comfort. So don’t wait, get yours for your next walk, run or hike hands-free. Looking for the perfect running leash? Look no further. The Tuff Mutt – Hands Free Dog Leash has easy glide belt clip that smoothly slides along the lightweight belt so your dog can move easily from side to side, giving you and your pup more freedom. With the tow conveniently placed handles, you can control your pup without breaking stride. The durable bungee placed between the two handles keeps bungee from having a constant pulling tension on your dog when not needed. Reflective stitching one leash and belt for safety and visibility. Make running, jogging, walking, or hiking with you dog a more enjoyable experience with the Mighty Paw Hands Free Dog Leash. 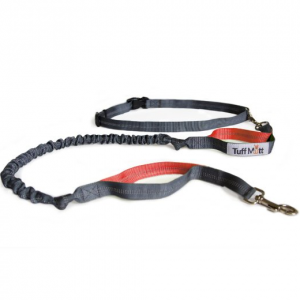 This leash features a lightweight design with an easy adjusting connector to fit waists up to 42″. 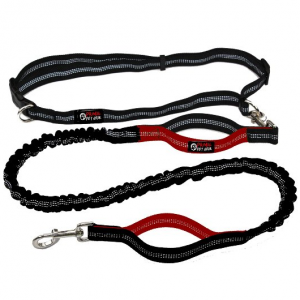 Made with weather-proof nylon and durable hardware, the leash is built to last. The reflective stitching will keep you safe and visible when the sun goes down. Perfect for active dog owners. Take your dog with you when you are running, walking or hiking with the Primal Pet Gear Hands Free Dog Leash. Designed with 2 handles, this dog leash will give you total control of your dog in any challenging situation. The dual sided 3 seams of reflective stitching ensures better visibility during day or night for safety. Reflective adjustable nylon belt will comfortably suit most waists from 28-48″. 4 ft for ample freedom to move. Want to enjoy freedom with your best friend? Now you can with the Treat4Pet 3-in-1 adjustable hands free dog leash. This 3-in-1 adjustable leash comes with bungee to absorb lunges, pulls and abrupt changes of direction of your playful dog. The easy adjustable system allows you to set length from 47″ up to 60″. Three reflective stitching on the leash for visibility and safety. Extra handle for added control. Durable and built to last. 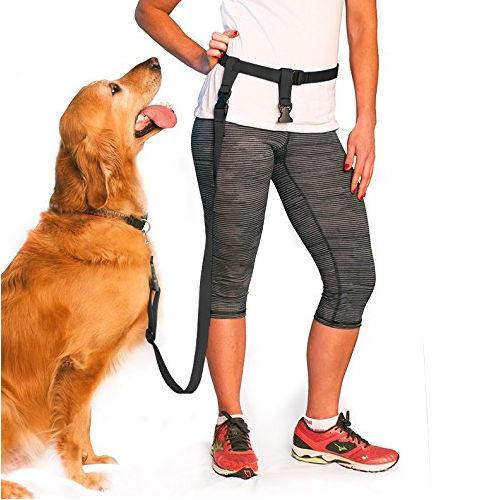 Get a hands free walking, running or jogging with your dog with the The Buddy System Adjustable Hands Free Leash. This adjustable leash allows for any length between 22. 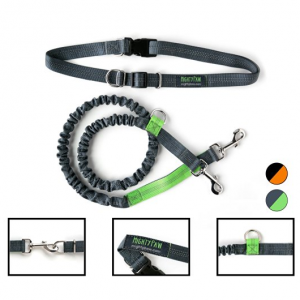 There is a quick Release mechanism at belt, allowing the leash to be released immediately from waist in case of emergency. This leash can also be converted to a traditional hand-held leash. Includes an adjustable belt, adjustable leash, 2 belt attachments, and collar attachment.